Bad blood is brewing in San Jose, California, between medical marijuana dispensaries that pay the city’s sales tax and those that do not. Some entrepreneurs have recently opened fly-by-night storefronts, bypassing taxes and hoping to make as much money as possible before the city cracks down. 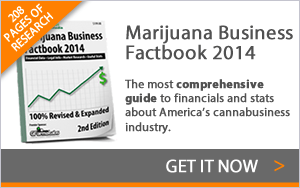 Other dispensary owners claim they are exempt from the sales tax altogether because of their business model. Both have irked local taxpaying dispensary owners, who believe the practice has created an unfair business climate and is sullying the industry’s reputation. These dispensaries have had to mix up their strategies to compete, with some even advertising to their customers that they do, indeed, pay their taxes. The rift has also made it difficult for the industry to band together and present a united front as the city debates regulations. Chalk it up to a lack of oversight on the industry and legal ambiguities stemming from San Jose’s repeated failure to ban most of the city’s 80 or so dispensaries. Like many cities in California, San Jose has wrestled with medical marijuana rules for years. All cannabis dispensaries in city are technically illegal under zoning rules, though San Jose assesses a tax of 10% of gross receipts on these businesses anyway. Officials have tried to regulate the industry in the past, hoping to set up a framework that would allow dispensaries to exist under strict limitations. But dispensary operators have fought these limitations – and in one case succeeded in overturning them – believing that they would effectively snuff out the industry. Most recently, the city proposed strict zoning rules that would close all but a handful of the shops. The city has also proposed regulations that would ban outdoor cultivation and require dispensaries to only sell marijuana that was grown within the city limits. Businesses fired back by filing an initiative to keep dispensaries open, and they now have until May 16 to collect enough signatures to put the measure on the November ballot. 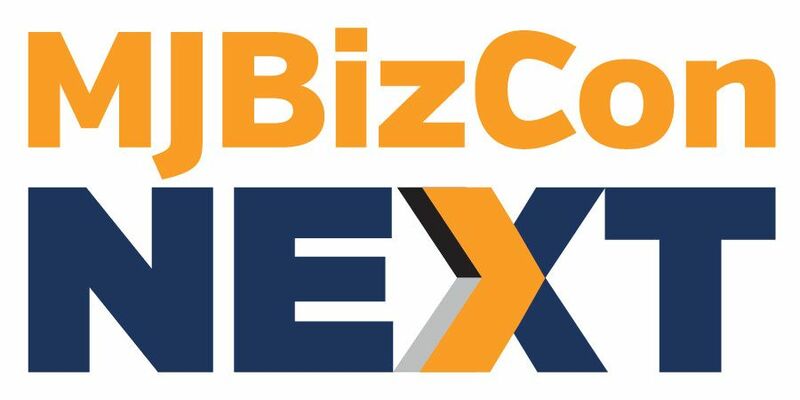 The constant turbulence has created a frustrating and uncertain business climate similar to the one in Los Angeles, which is one of the most chaotic markets in the country. San Jose City Council members and even the mayor have repeatedly threatened dispensaries, but law enforcement typically only cracks down on businesses that generate complaints. Still, many dispensary owners believe the ax could fall at any time and the city could seek to aggressively close all shops. For many MMJ businesses, paying the 10% sales tax is a way to stay in the city’s good graces. 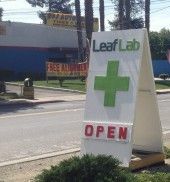 Dispensaries such as Leaf Lab contribute approximately $5 million combined each year to the city’s General Fund. But a lack of oversight has steered some businesses to forgo paying taxes altogether, or to simply pay them sporadically. Nobody knows for sure how many dispensaries avoid tax payments. Some have pegged the number at less than 10 businesses, while others believe it is substantially more. Dave Hodges, owner of All American Cannabis Club in San Jose, does not pay the city’s tax, however his business is not a fly-by-night operation. Hodges has been operating since 2009, and his club currently has approximately 10,000 members. Hodges argues that his business model sidesteps sales tax requirements. He says that no transactions occur at his club; instead, marijuana growers and manufacturers contribute products to the club. Hodges has argued his case before the California Board of Equalization and San Jose officials. His case with the BOE has lasted more than four years, and the agency now claims he owes more than $1 million in back taxes, which Hodges contends. Hodges believes he is the only operator in San Jose who is successfully practicing his model. But he said that the city’s attitude toward marijuana businesses has created a gray area for business, and it has not persuaded him to pay tax. San Jose has become a destination for Northern California patients, since moratoriums in and around the Bay Area have limited access to cannabis. The high demand matched with the discrepancy over taxes has created a pricing war. The state’s 7.5% tax and the city’s 10% tax add a significant price jump for patients, who often gravitate toward cheaper cannabis. Many dispensaries therefore have adjusted their tactics to compete, with some offering frequent discounts to repeat customers and others stocking exotic and hard-to-find products as a way to set themselve apart. Many businesses also advertise that they pay a percentage of the sales tax themselves, instead of putting it all on the backs of consumers. “We Pay Tax” is a familiar tagline in dispensary print ads – though there are concerns that some dispensaries make those claims for marketing and public relations reasons put don’t actually pay their taxes. DeAngelo believes the price war, matched with the flimsy regulations and threats of closure, is impacting all areas of dispensary operation. While some businesses are not paying taxes, others are simply not living up to the industry standards for cleanliness and security, he said. If businesses are going to reverse this trend, DeAngelo said they must first be regulated and feel as though they will not be closed. Do you know the way to San Jose? doo doo doo doo doo doo doo doo doo doo. What a cluster. Wow! But I guess that’s California for you. Too bad.